The Hala Bala Wildlife Sanctuary is a natural gem, with some rare species still waiting to be discovered. For many connoisseurs of the country’s natural heritage, this patch of cooling tropical rainforest on the border with Malaysia is one of the country’s prime natural attractions. Narathiwat has a balance of natural delights and cultural spice that make it well worth a visit. The South’s last frontier on the east coast, the province is best known for its string Muslim influences and the thriving border town of Sungai-Kolok. The area covers 270,000 rai from Betong in Yala and Chanae district in the west, to Waeng and Sukhirin districts of Narathiwat in the east. It is interspersed with village communities that prevent wildlife from moving between the two sides. Hala has bigger woodland, home to big animals including tigers. On the Bala side, birds are the main attraction. Hala is accessible from Yala; Bala can be reached at Waeng district. the terrain includes mountain peaks such as Lee Pae, Batu Tamo and Loh Choo, the source of the Kolok and Sai Buri rivers. The former marks the border between Thailand and Malaysia. 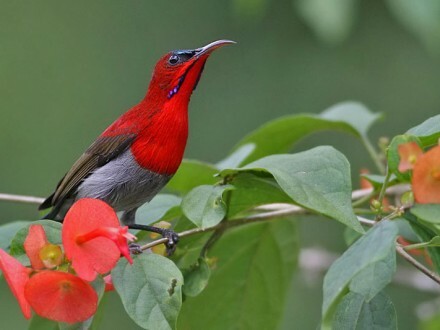 The area is a haven and an escape for birdwatchers and trekkers. 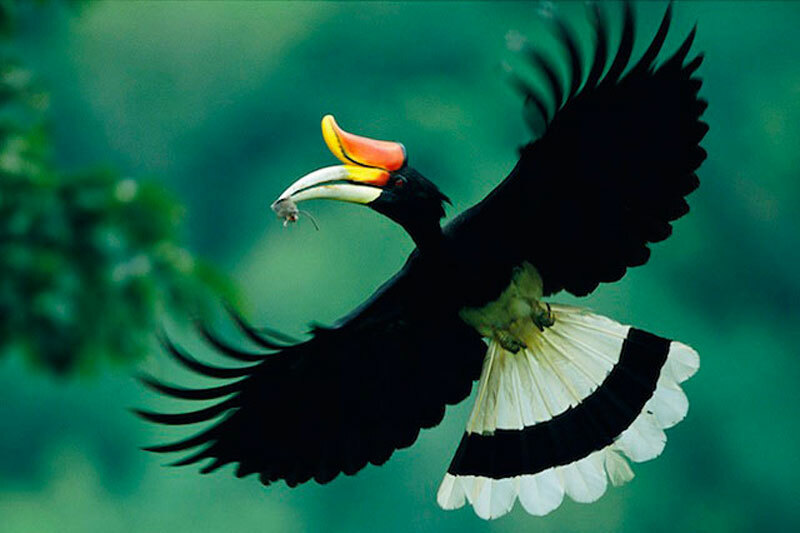 The forest is well-known for hornbills:out of the 12 species found in Thailand, the area is home to 10, including Rhinoplax vigil, Buceros rhinoceros and Anthracoceros malayanus. Pick-up from Had Yai air-port to Hala-Bala Wildlife Sanctuary. 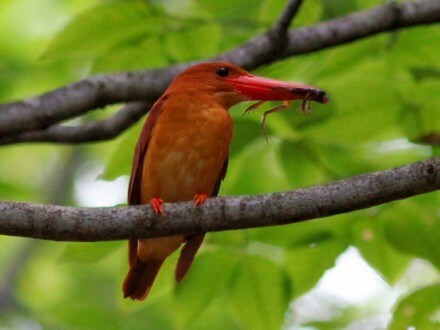 We will spend a full day bird watching at Hala-Bala Wildlife Sanctuary. 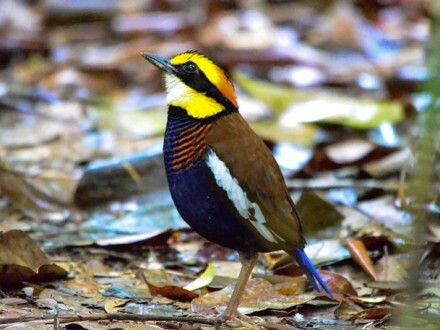 We will spend a full day bird watching at Hala-Bala Wildlife Sanctuary, in the afternoon day 3,we will transfer you to the air-port. 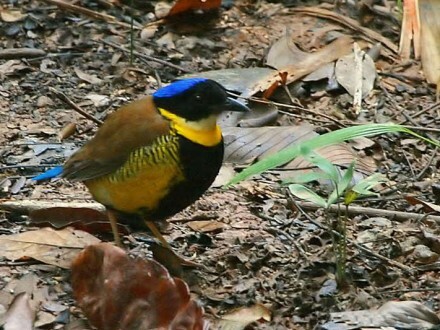 *or Continue to Pa Pru Toh Daeng or others birding program for 3-4 days. Information contained in this document is not contractual. Information is offered to give an idea of the type of trip that is offered. Times and locales will often vary according to, weather and the decisions of the expedition leader. Our objective is to give customers the best possible experience within the time frame of the expedition and as a matter of policy we continually update and improve products to achieve this aim we are in regular contact with the rangers of the park. All prices based on twin share basic rooms. Single person supplement : 400 Baht per day for all trips. Published Price Per Person, Two guests minimum. Discounts available for large group bookings (4+).